People Like Us is the type of artist that I could just go on forever about, I seriously think Vicki Bennett’s audio and visual collage work has been a major influence on how I perceive reality. Her works typically combine stock footage, common-knowledge melodies and glitch noises, subverting sounds and images you might have seen and heard many times before and take for granted, and turning them into something surreal and special. A lot of her work is available for free download online, but the releases that have particularly rewired my brain the most are Abridged Too Far and Wide Open Spaces, so start with those first. This DVD is the latest of PLU’s ongoing collaborations with Ergo Phizmiz, a like-minded sound collage artist, who also has tons of music available for free download online, and who specializes in warped covers of pop music (such as this collection of R&B/hip-hop covers, plus the entire VU White Light/White Heat album). He also sometimes releases his own quirky offbeat solo material, such as the recent Eleven Songs album. He has a really dry, deadpan style, sort of like Ivor Cutler, but combined with songwriting closer to Syd Barrett or Robyn Hitchcock. Previous PLU/Ergo collaborations have resulted in truly warped meldings of sampled material (just try and not lose your mind during “Social Dance Song”, along with songs utilizing the duo’s own vocals (sometimes silly, such as “Gary’s Anatomy”, other times surrealist and touching, such as “Withers In The Whist”, both on Rhapsody In Glue). 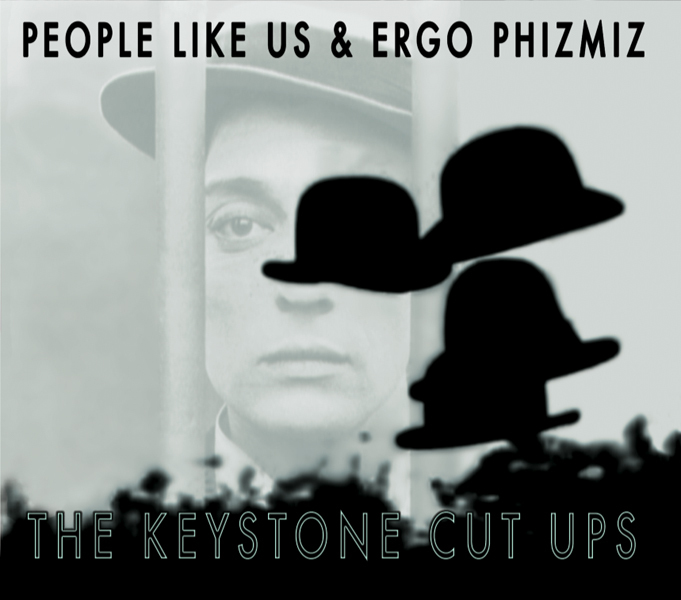 On this DVD, the duo creates split-screen film collages (leaning heavily on Dali and The Marx Brothers, among others) and creates a soundtrack, less sample-driven than their previous works, but freely borrowing from and lapsing into familiar melodies, and occasionally featuring their own vocals. It sounds a little closer to Ergo’s works than Vicki’s. Musically, the most touching moment is “Magic”, which repeats the lyric “I’ll never forget the moment we kissed” until it just drills itself into you, as well as quoting the standard “That Old Black Magic”. Along with the DVD’s final track, “Moon” (which cribs from gospel hymn “Swing Low Sweet Chariot”), it’s also been released on a blue vinyl 7″ which is also well worth owning. The audio for this DVD is available as a free download on the Illegal Art website, but the DVD versions of the songs have added sound effects as well as visuals, so the download works as a soundtrack without the incidental sounds. Still worth grabbing and listening to on its own merit, especially since it’s free. Lovely, amazing stuff as always from PLU, and if all the free downloads of her music that I’ve linked aren’t enough for you, she also does radio on WFMU sometimes with a show called Do Or DIY, and she also curated Radio Boredcast last year, 744 hours of audio focusing on slowness and our ambiguous relation with time.